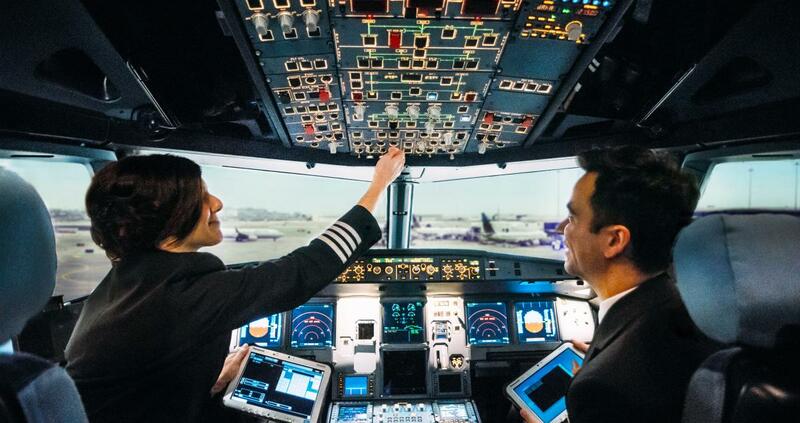 LUTON, England, 2018-Nov-09 — /Travel PR News/ — easyJet, Europe’s leading airline has partnered with CAE, a global leader in aviation training, who will deliver a fleet of brand new flight simulators to the airline and establish three new European easyJet pilot training locations, which are set to become the most modern pilot training facilities in Europe. As part on the new agreement, CAE will build a new state-of-the-art training centre in London Gatwick with a dedicated space to serve easyJet’s training needs and deploy a total of nine Airbus A320-family full-flight simulators (FFSs) and three flight training devices (FTDs) in the new London Gatwick centre and two additional training locations in Manchester, UK and Milan, Italy. The centres will be ready for training starting in the second half of 2019.
easyJet will be utilising CAE’s latest generation of flight simulators, including the CAE 7000XR FFS equipped with the CAE Tropos™ 6000XR visual system, and will be the first airline to train its pilots using CAE’s latest generation of FTDs, the CAE 600XR . These simulators are among the most advanced pilot training technologies available in the industry today. “The safety and welfare of our customers and crew is easyJet’s number one priority and by choosing CAE as our training partner of choice and investing in the most advanced technologies, we not only continue to enhance the quality of our pilot training, we maintain and enhance our commitment to safety. During easyJet’s FY2018 ending September 30th 2018, the airline will recruit 460 pilots – a pilot recruitment record for the airline for a third consecutive year as easyJet continues to expand its operation across Europe. In the last year alone easyJet has added bases to its network in Berlin Tegel and Bordeaux and now flies over 1000 routes on over 300 Airbus A320 family aircraft. In July 2018 easyJet took delivery of the first of 30 A321neo aircraft which will bring significant environmental, operational and cost benefits to its operation. CAE has been delivering pilot training solutions to easyJet pilots since 2004, including creating and training professional pilots across its network. In 2010, easyJet selected CAE as its launch partner for an industry-leading cadet Pilot Programme based on the Multi-Crew Pilot Licence (MPL). To date, CAE has selected, assessed, trained and delivered more than 900 co-pilots and captains through the easyJet MPL Integrated ATPL and type-rating training programmes for the airline. easyJet flies on more of Europe’s most popular routes than any other airline. easyJet carries over 83 million passengers annually, of which more than 13 million are travelling on business. easyJet flies 308 aircraft on more than 1000 routes to 158 airports across 34 countries. More than 300 million Europeans live within one hour’s drive of an easyJet airport. This entry was posted in Airlines, Business, Flights, Travel, Travel Education & Courses, Travel Services, Travelers and tagged CAE, Chris Browne, easyJet, flight, london gatwick, Manchester, Marc Parent, Milan, pilot, simulators, training. Bookmark the permalink.